Laura has been commissioned for portraits both in pencil and oil. She enjoys plein-air painting, but has recently focused her talents on still life painting for the unique compositional challenges it provides. Her work has been strongly influenced by many of the great masters such as Caravaggio, Fantin-Latour, and Chardin. Laura strives to create dramatic lighting and atmosphere in her paintings in effort to amplify beauty in the objects that fill our lives. 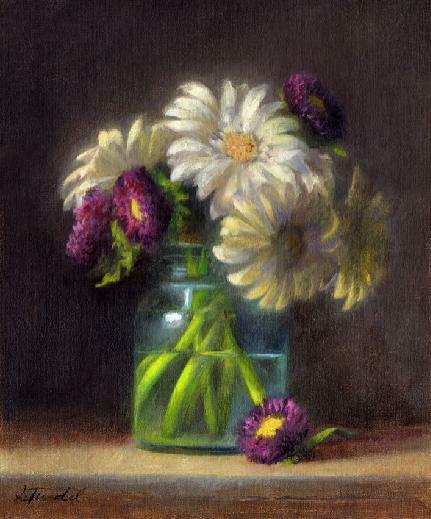 Laura has won several awards for her still life paintings in juried competitions. Her work is included in both public and private collections nationwide.